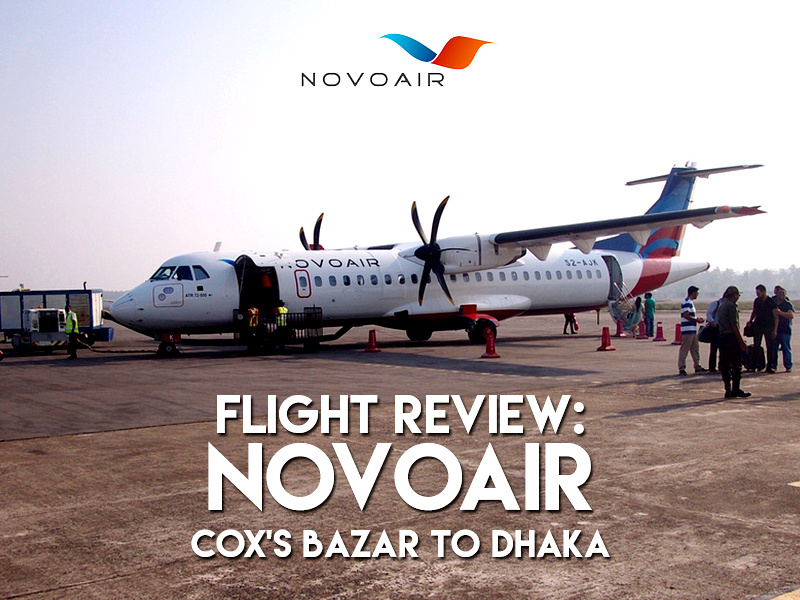 I flew with Novoair from Cox’s Bazar to Dhaka. I booked it on the Novoair website after comparing flights with Skyscanner. There were four airlines to choose from on this route (Biman Bangladesh Airlines, Novoair, Regent Airways, US-Bangla Airlines). 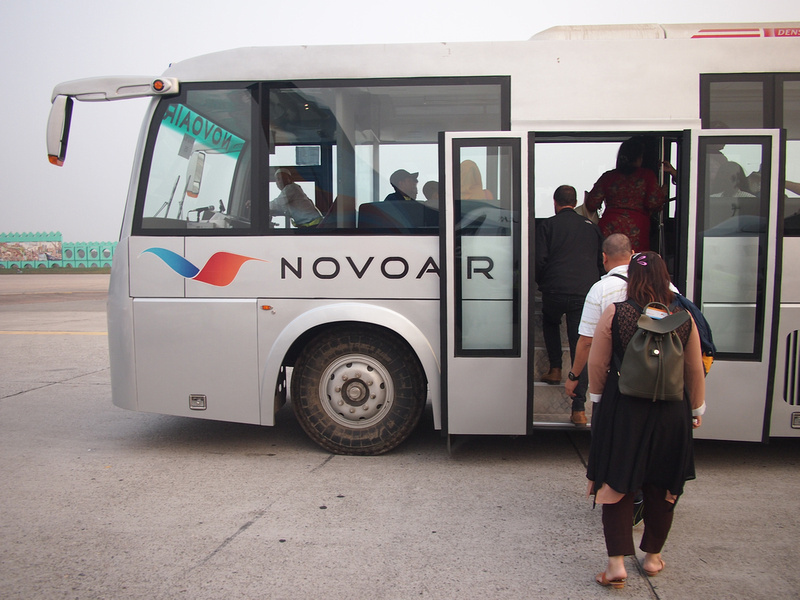 I went with Novoair mainly for the time of day and the price. I had a midnight flight at Dhaka and I wanted to leave enough time to make the flight, so I got the 4pm flight. The ticket was 5600 BDT ($67.80 USD). 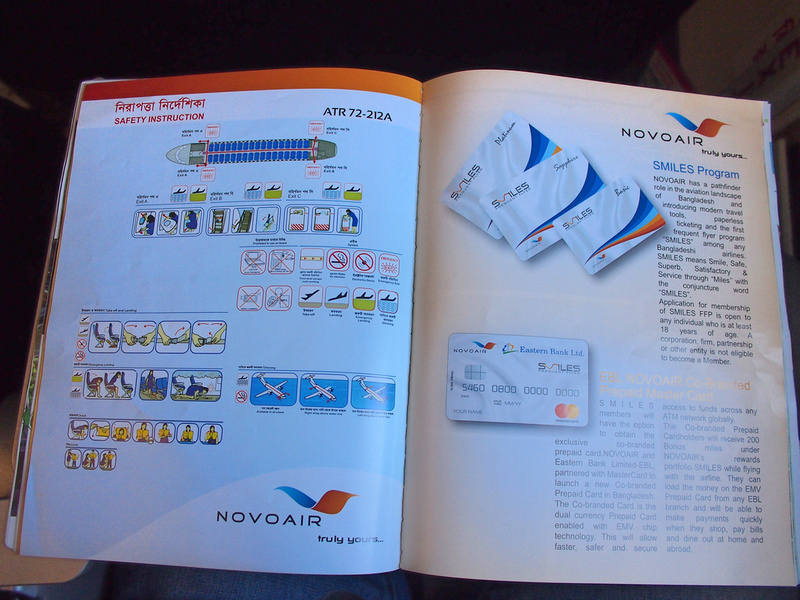 Usually booking on small airlines in Asia can be a pain, but the website of Novoair was a breeze to book. There were no extra hoops to jump through in the booking process, and they have more payment options than any airline I remember. As my check out time was midday and the flight was at 4pm, I did what I would normally do and went to the airport to wait in a cafe for a while. 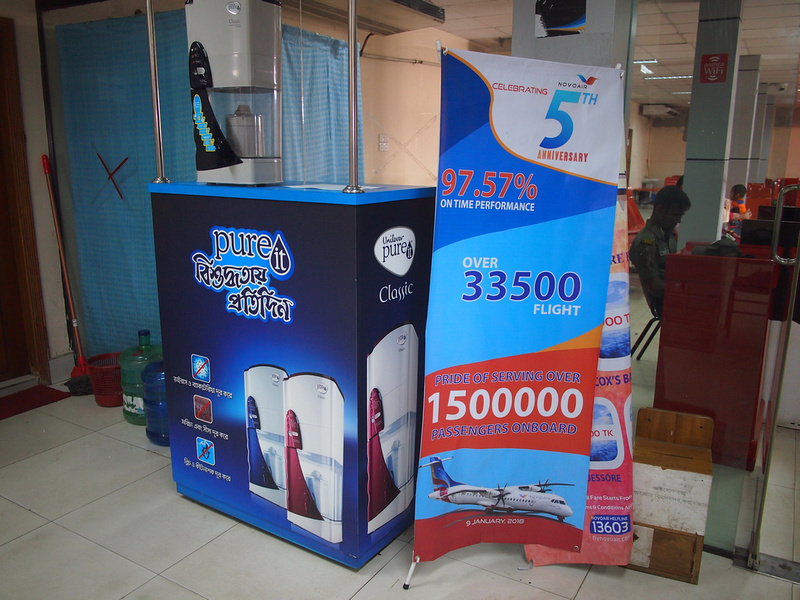 I didn’t really think this one through as the Cox’s Bazar airport is tiny. It’s a small shed with barely enough room for one airline to check in at a time. I found myself there with nothing else to do but catch up on my reading. 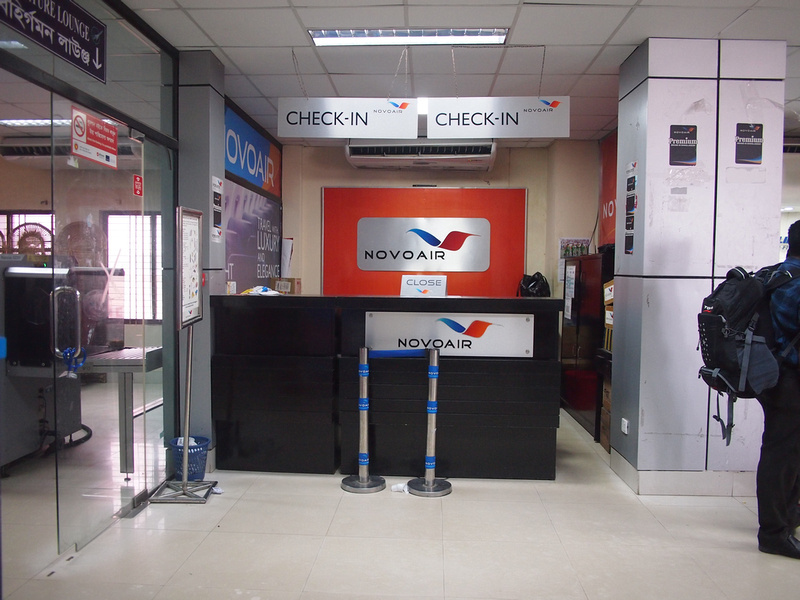 Novoair have been flying to Cox’s Bazar for 5 years. 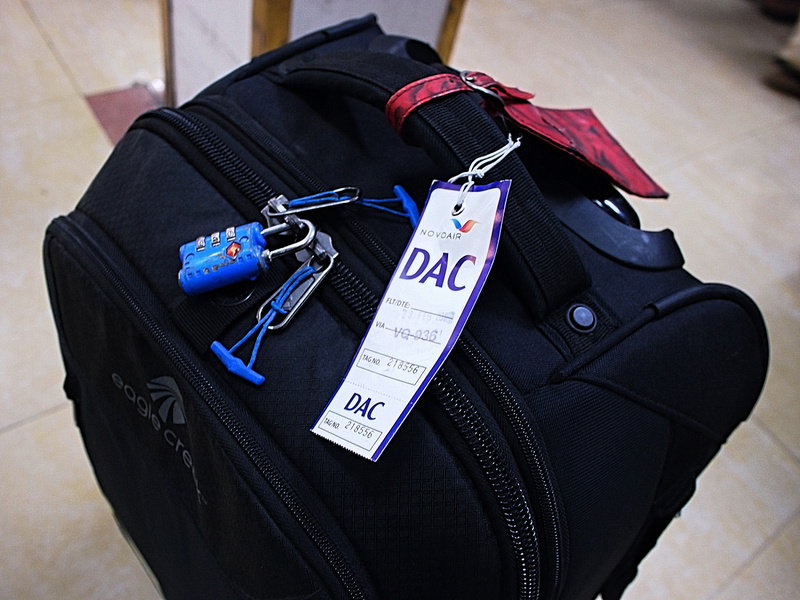 The airport is so small that they don’t even use the modern bag tag here. I was delighted to see these old-school bag tags. No need for airbridges here. The flight was with an ATR 72. I like flying on the ATR 72 as it’s a change of pace from being on a 737/A320 all the time. The cabin is much smaller though, so they are fine for a one hour flight. 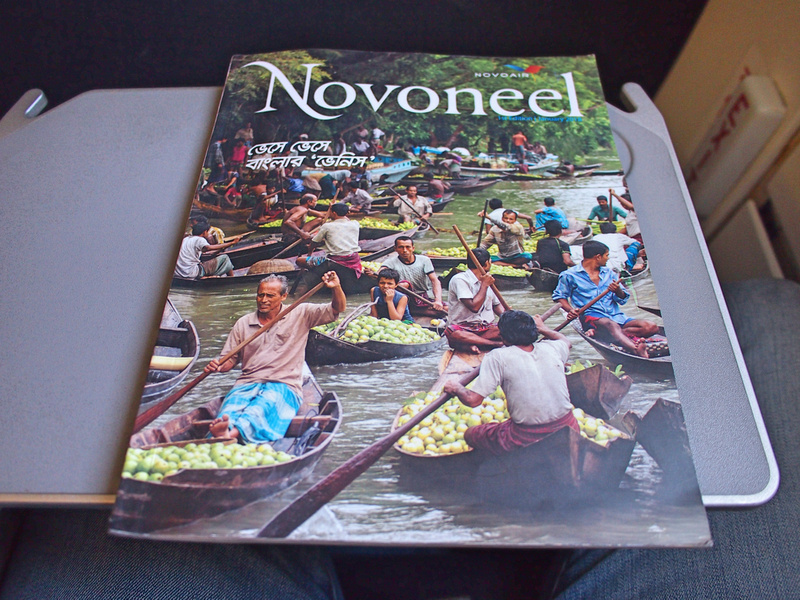 Novoneel – the inflight magazine of Novoair. 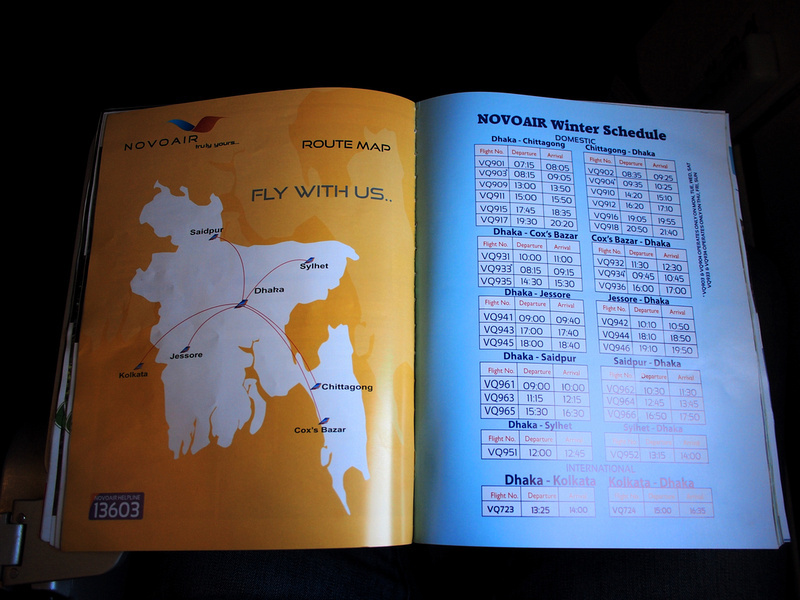 Novoair fly to destinations in Bangladesh, as well as Kolkata in India. 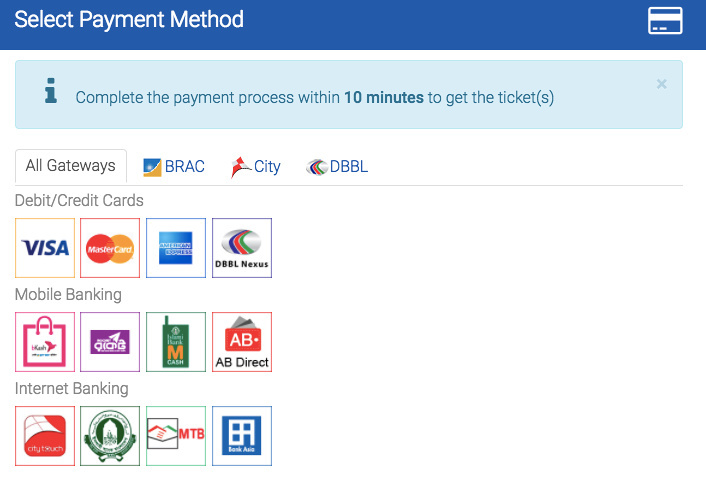 Novoair aren’t part of an airline alliance, but if you happened to be a frequent flyer in Bangladesh they have the Smiles frequent flyer program. 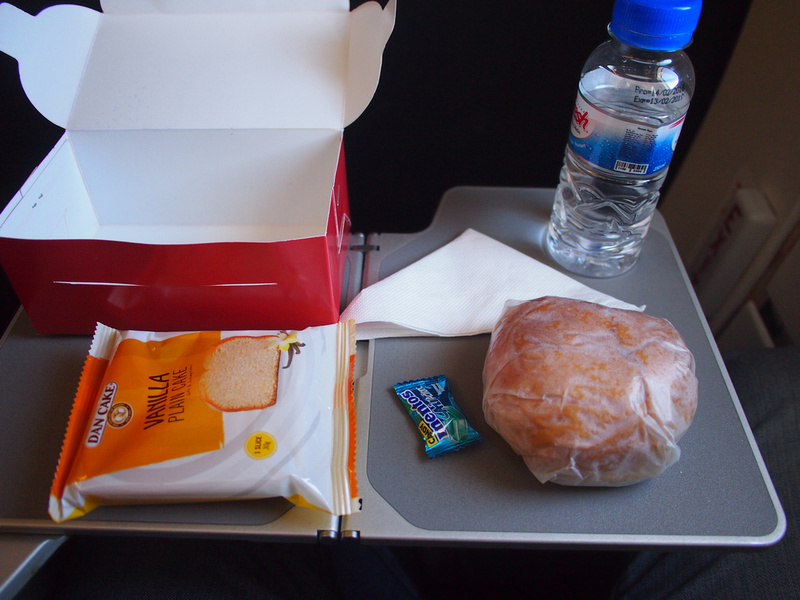 A simple lunch pack is served on the flight. The lunch was some kind of vegetable pastry bun and a packaged cake slice. 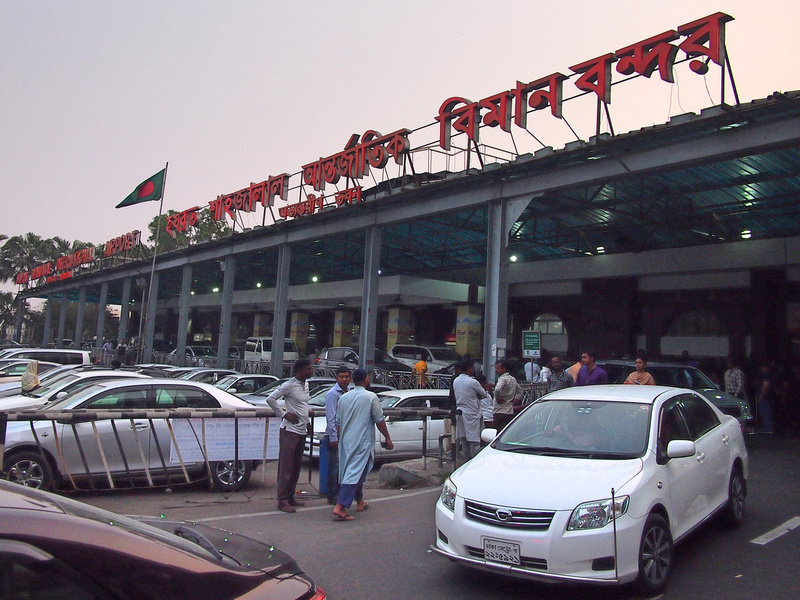 The scheduled flying time is one hour, arriving at Dhaka at 5pm. The flight was on time, so I had more than enough time for my next flight. It’s been a while since I’ve seen a baggage claim like this. 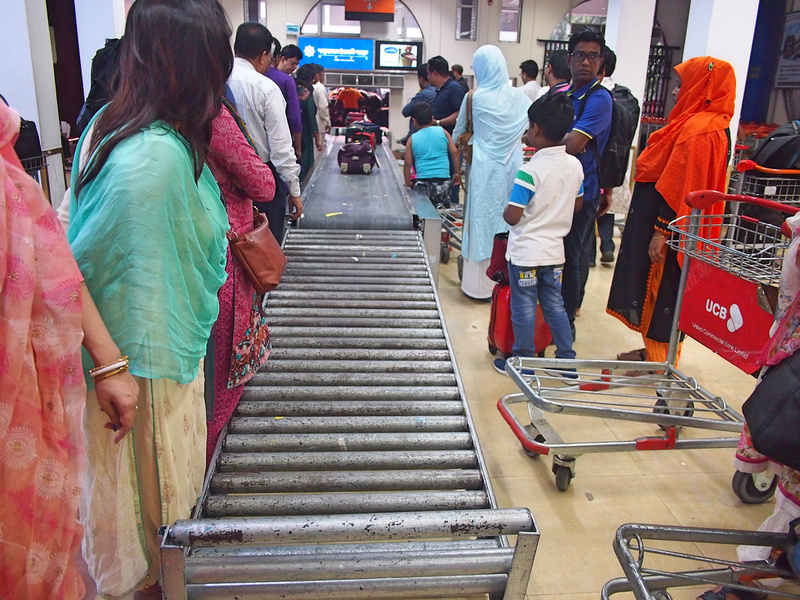 At the Dhaka domestic terminal, and now to my international flight. Overall this was a good flight option from Cox’s Bazar to Dhaka.